2017 MLB All-Star Brad Hand is the name seen the most as a potential trade candidate. 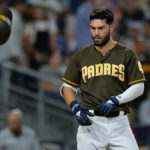 Given his performance this season, as well as his all-star status, the Padres will probably be asking for a pretty hefty package for Hand at the deadline. The Padres have a couple of other less expensive options in the bullpen as the trade deadline nears. Relievers Craig Stammen and Kirby Yates have both put up solid 2017 campaigns. The two have been great options for the Friars this year. Stammen has been used as a long reliever, while Yates has pitched his way into higher-leverage situations. Relief pitching seems to be the most sought after acquisition for contenders as the deadline nears. Quite a few strong teams have weak bullpens, including the Nationals, Twins, Brewers, Tigers, Cardinals, and Rays. Stammen was signed in the 2017 off-season to a minor league contract, with an invitation to spring training. He performed well enough in spring to earn a spot on the 25-man roster. 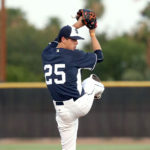 Yates was acquired by the Padres in early April off of waivers from the Angels. 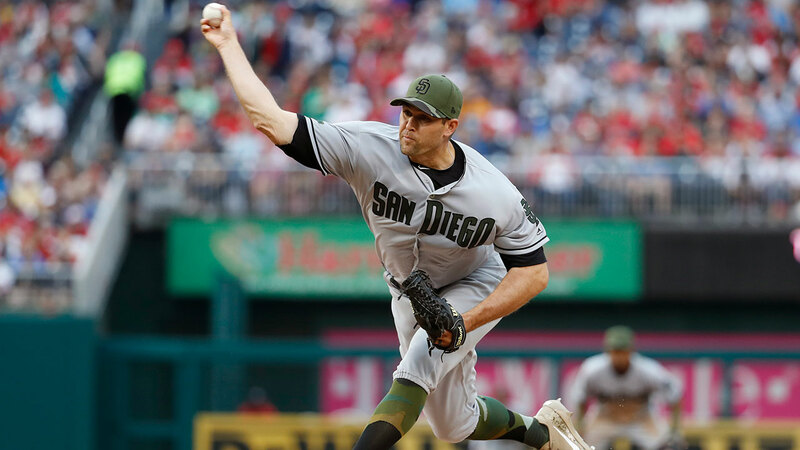 Craig Stammen has appeared in 27 games in 2017, posting a 4.53 ERA over 45.2 innings pitched. Stammen has actually pitched much better than his 4.53 ERA suggests. He had a rough three-game stretch in April, surrendering 10 runs over three innings. Taking away those three appearances, Stammen has a 2.68 ERA over 43.2 innings pitched. The right-hander also had his ERA down to 3.95 before giving up a grand slam during the recent Dodgers series. Stammen could be a useful arm to many contending teams. Potential suitors for Stammen wouldn’t have to give up very much to get him either. Stammen is a free agent at the end of the year, and is an effective under the radar reliever. Detroit would’ve been a good landing spot for him, although the Tigers have fallen a little more out of contention as of late. I say Detroit because they don’t have the prospect depth for acquiring a big time reliever, and seem as though a rebuild is in the very near future. Another A.L. Central team worth noting as a possible suitor is the Minnesota Twins. The Twins are a surprise team contending so far in 2017, however Minnesota won’t make any big time moves that would mess with their long-term plans. Minnesota should make some smaller moves to help improve their bullpen, which ranks last in the American League in ERA. The Twins may be skeptical about giving up any long-term assets for a rental as they may not even make the playoffs or could end up being a one and done in the wildcard. A great return the Padres could get from the Twins could be 3B Jose Miranda. He is currently the Twins’ 23rd-ranked prospect. 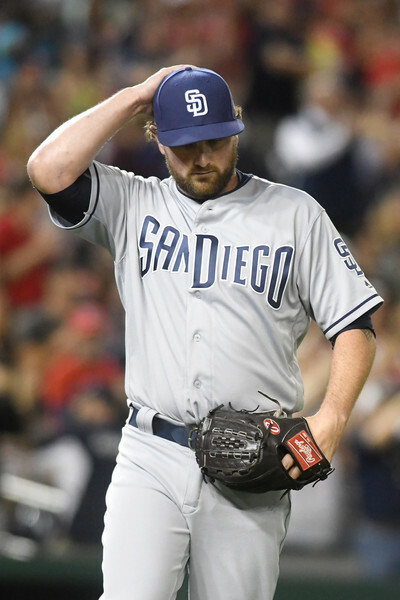 He may be too much to give up for a Craig Stammen rental, but maybe an inclusion of Kirby Yates, who is under team control for another three years, could get the job done. Miranda would be a great acquisition for the Padres, who lack depth at the third base position on the farm. Miranda projects to hit for relatively high average with decent power. He is currently playing in Rookie ball. Kirby Yates, like Brad Hand, was acquired off of waivers with multiple years left of team control. 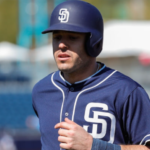 Also like Hand, Yates has boosted his trade stock since coming to the Padres. Kirby Yates won’t make many headlines as a trade candidate, but he definitely has value for many contending teams. Yates came over to the Padres on April 26th. 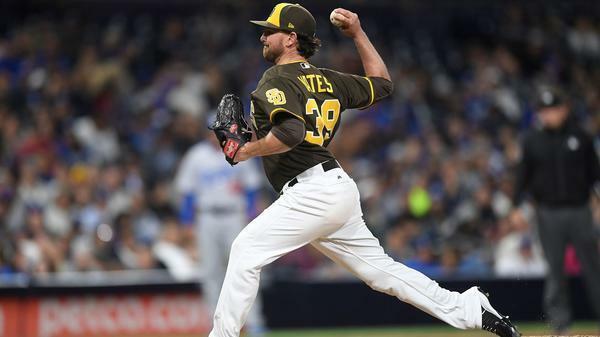 Since joining the Padres, Yates has appeared in 28 games posting a 2.00 ERA, and a 1.11 WHIP across 27 innings. Yates could be a very useful arm during the postseason. I also see Yates being a better fit for a team who isn’t considered going “all-in” at the deadline. I say this because, like Stammen, Yates isn’t a big-time shut down reliever. He certainly has the value to bolster a bullpen in need. Yates is more than just a one year rental, as he is under control for another three years. This makes him a perfect fit for a team that is contending, but still building for the long-term. Yates could fetch a pretty decent prospect. Along with the Twins, I can see the Brewers, Nationals, and even the Astros as possible destinations. The Brewers need to be buyers at the deadline with their strong farm system and weak division. Cory Knebel has been sensational for Milwaukee, but their pen still needs some help, as they rank 16th in the majors in ERA. The Brewers are suitors for Brad Hand, but Kirby Yates could be a cheaper option with still some upside. Yates would fit in the Brewers long-term plan because of his team control. The Brewers’ 25th ranked prospect, Jake Gatewood, would be a nice return. He is a power hitting first baseman/third baseman. He would bring necessary depth to the Padres’ farm at the corner infield positions. 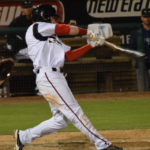 Gatewood was drafted 41st overall, as a competitive balance A pick, by the Brewers in 2014. He has an ETA to the majors listed as 2019, which is right at the start of the timeline where the Padres are projecting to be competitive. Another great return could be RHP Josh Pennington. He was acquired by the Brewers, along with three others from the Red Sox, for Tyler Thornburg back in December. Pennington was drafted in the 29th round by Boston after he blew out his elbow three months before the draft. He returned from TJ surgery, and has impressed since. He could be a great option as a power reliever in the future. The Nationals will more than likely be acquiring multiple relievers at the deadline with their MLB worst bullpen. Yates could fill the role as one of those relievers. The Astros are also a possible suitor because as good as most of their bullpen has been, they still have some weak links, evidenced by ranking 13th in ERA in the Majors. The Astros likely will be looking for a starting pitcher, but a reliever isn’t out of question. Also, all of their productive relievers are right-handed, so a lefty would be higher on their wish list. Brad Hand maybe? The Astros have one of the top farms and are surely an all-in contender. 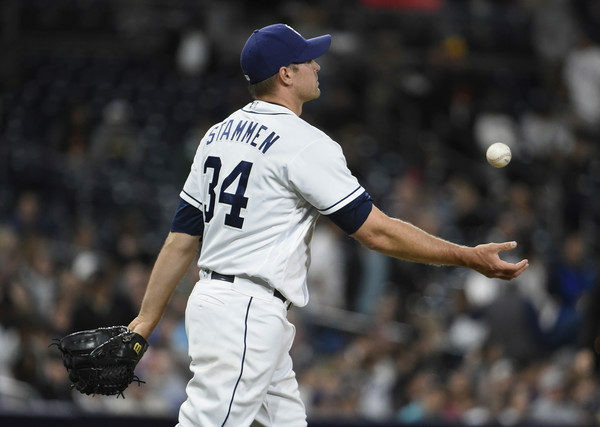 Overall, I see the Padres getting the best return with Stammen and Yates as a package deal. 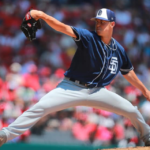 Brad Hand easily has the best value for the Padres, but the other two could fetch a solid return. Bullpen arms are easily the most sought after area for the upcoming trade deadline. 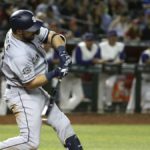 Now is surely the time for the Padres to sell those arms and fetch prospects for the future. Waiting could risk injury, and decreased value. 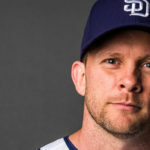 The Padres don’t have much to offer to contenders other than pieces from the bullpen, but never underestimate what A.J. Preller can do.